The average roofing installation price for a tile shingle roof costs anywhere between $20,000 to $40,000 depending on the slope, pitch, and size of your roof as well as the type of tiles you are wanting to install. You can expect to pay $4.00 to $10.00 per sq. foot or $400 to $1000 per square installed on a standard sized single story home. Costs will vary depending on local roof contractor’s pricing. View your potential roof installation savings with local contractors below. It’s always smart to get price quotes from at least four local pre screened and licensed tile roof installers before starting your project in order to get the best price in your area on your tile roofing installation. Tile roofs come in clay or concrete but can even be shaped in many different ways even to the point of looking like wood shake tiles. Durable tile roofs are built to last a lifetime. They are non-combustible so they are safe against fires. They are also resistant to rotting and insects. Tile roofing can work with virtually any home design, too. Combining tile (one of the most traditional building materials) with more modern materials like glass, metal roofing, or wood shingles make for a unique, beautiful architectural juxtaposition that will make your home design really stand out. Investing in a tile roof can significantly reduce your monthly energy bill. Roofing tiles are the only materials currently in use that possess two inherent qualities necessary for energy reduction: Investing in a tile roof can also make you eligible for federal and state tax credits and increase the resale value of your home as more and more homebuyers are looking for homes with energy efficient features. Tile roofs are able to stand up to the elements, so maintenance is minimal. Still, inspect your roof regularly and replace any cracked or chipped tiles immediately to prevent the damage from spreading. To keep your roof clean, consider hiring a professional who is well-versed in how to move around on a tile roof and will be able to quickly and easily apply primers and paints to keep your roof cool and looking great. Tile roofs can be very heavy. Clay is heavier than concrete roof types, but both still put considerable strain on the structure of your home. 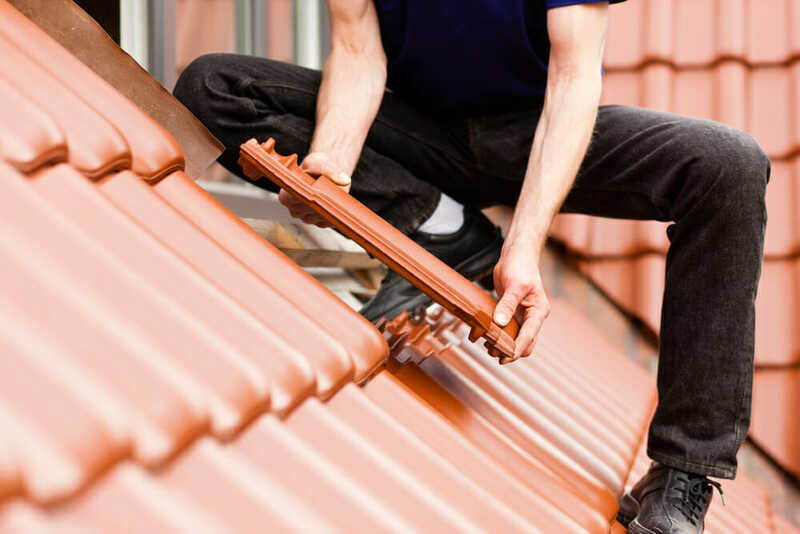 Before you invest in a tile roof, you should consult with a structural engineer to determine if additional reinforcement should be made to support the weight of the roof.